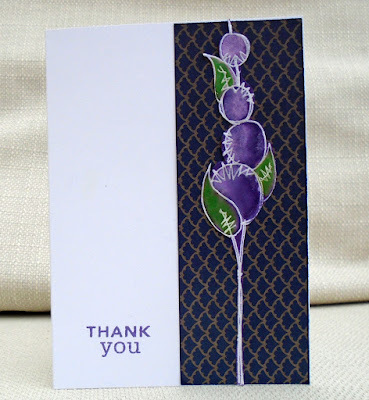 I made this card using two sets of Lawn Fawn stamps. 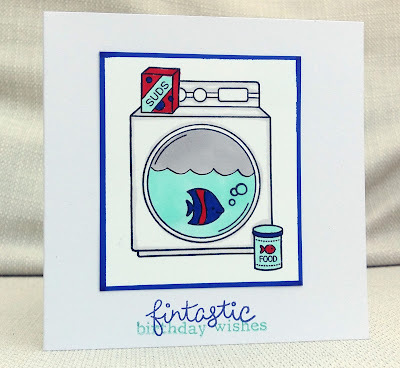 The fish, bubbles, fish food and 'fintastic' are from Fintastic Friends. The washing machine and soap powder are from Loads of Fun. The rest of the sentiment is by Clearly Besotted. 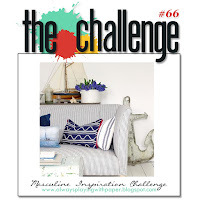 The Challenge I took my colour influence from the cushion. Aud Sentiments birthday - and happy birthday to your challenge! I've been lucky enough to win some random-draw prizes in challenges lately, and the text and dragonfly stamps here (by Stamp It Australia) are from a set I chose with a store voucher. 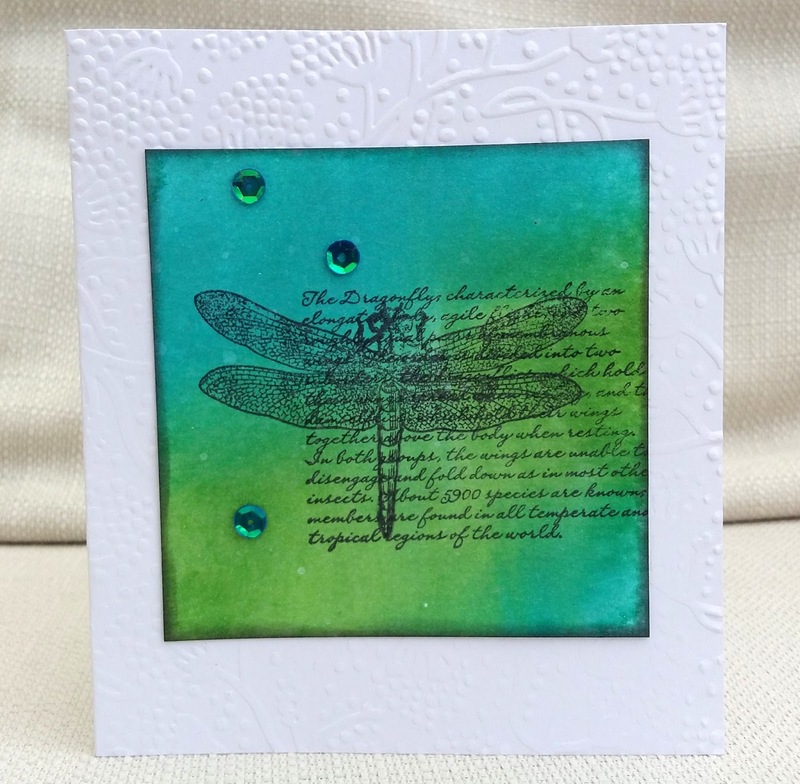 I made the background with distress inks which I then soaked with Perfect Pearls water and let them run together. 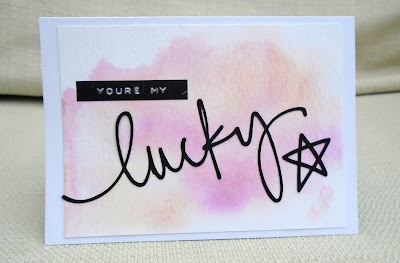 After stamping, I sprayed on some white mist ( Diylusions White Linen) - it goes on bright and clear at first but then fades a lot , so I'm not really happy with it. If you have any tips on a better brand of white ink spray, I'd be really grateful! 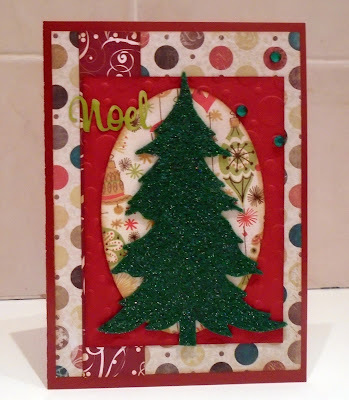 Finally, I gave the base card some texture using an embossing folder. 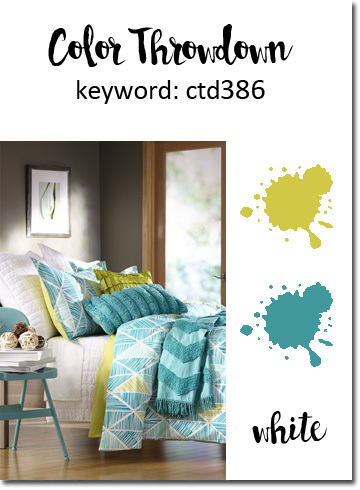 Colour Throwdown - I actually made this card specifically for this challenge, after seeing the colour palette this morning. But now I look at it and think my colours are slightly out. 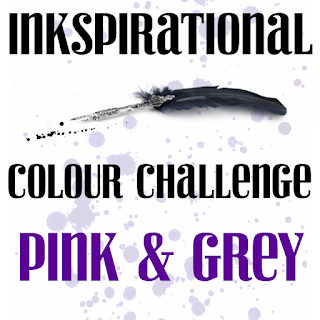 This always happens to me when I do colour challenges! 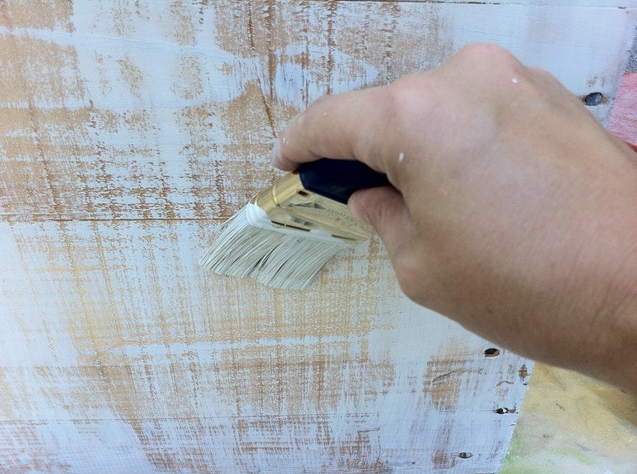 I chose this week's challenge at City Crafter : Whitewash. 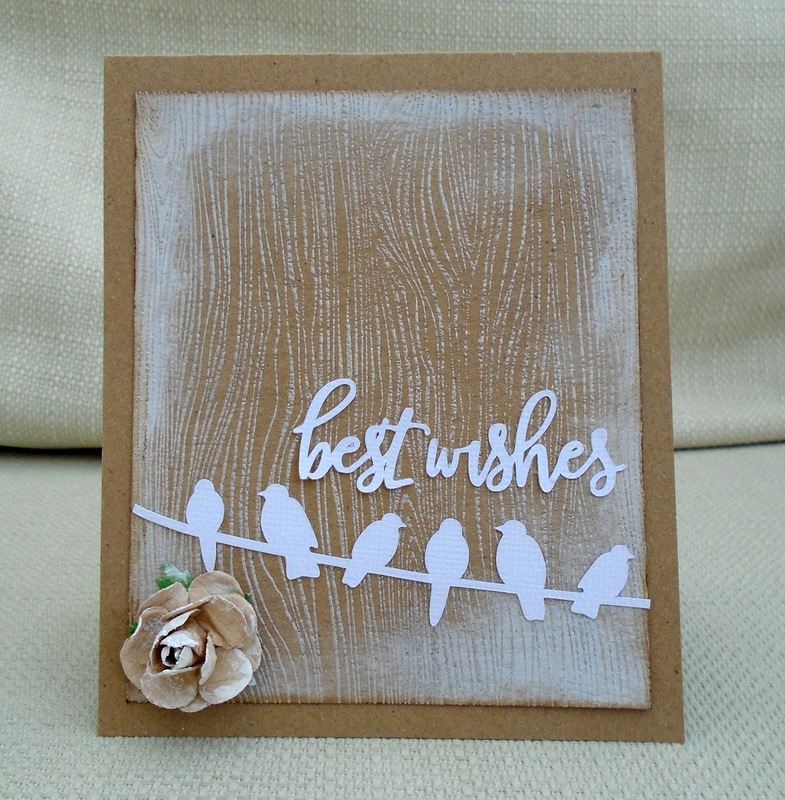 For my DT card I cut the birds and sentiment on the Silhouette. I heat embossed a woodgrain stamp (Hero) , added a flower and then sprayed everything with white mist.....but it didn't really show very well! So, I got out some white acrylic paint and smeared it over it. 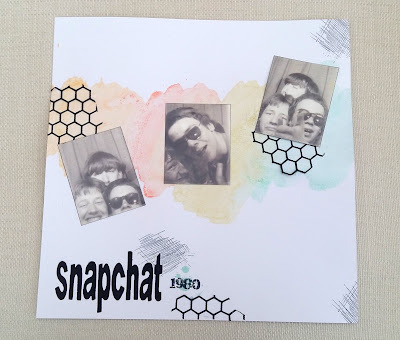 This week, Cammy joins us as Guest Designer, so I hope you'll pop over to City Crafter, see what she and the DT have made, and enter your own whitewashed project. Thought I'd share some of my Easter projects with you. Firstly, this layout I made today. This year, for the first time ever, it was too wet to hold our Easter Egg Hunt in the garden, so we had to do it inside. Not very photogenic! I used the scraps and leftover embellishments from a very old Three Bugs in a Rug kit. The cloud (top left) was in my stash, and I stamped the umbrella (Hero Arts) , punched a circle around it and stamped the date. The title was cut on the Silhouette and I printed the journalling. 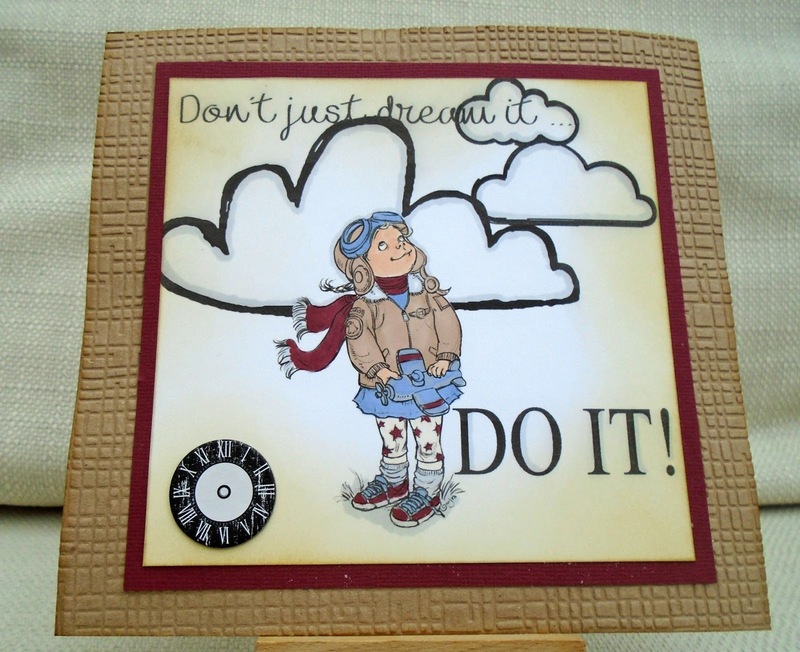 Inspired by the challenge at Use Your Stuff I popped up the embellishments. ( Actually I also popped up the I on the title but I don't know why I bothered, as it isn't very effective!) Finally I added some bronze sequins. If you celebrate Easter, I hope you had a happy and crafty one too. He,he ....my partner has taken our son out, so I'm having a few hours crafting ....May even get dressed at some point. Here, I used a very old Stamps Happen stamp and two techniques - my all-time favourite, paper piecing, and a new to me technique, pencils on kraft card. I don't think these are the 'proper' pencils as these are just watercolour ones (used without water here!) , but I think it turned out okay. 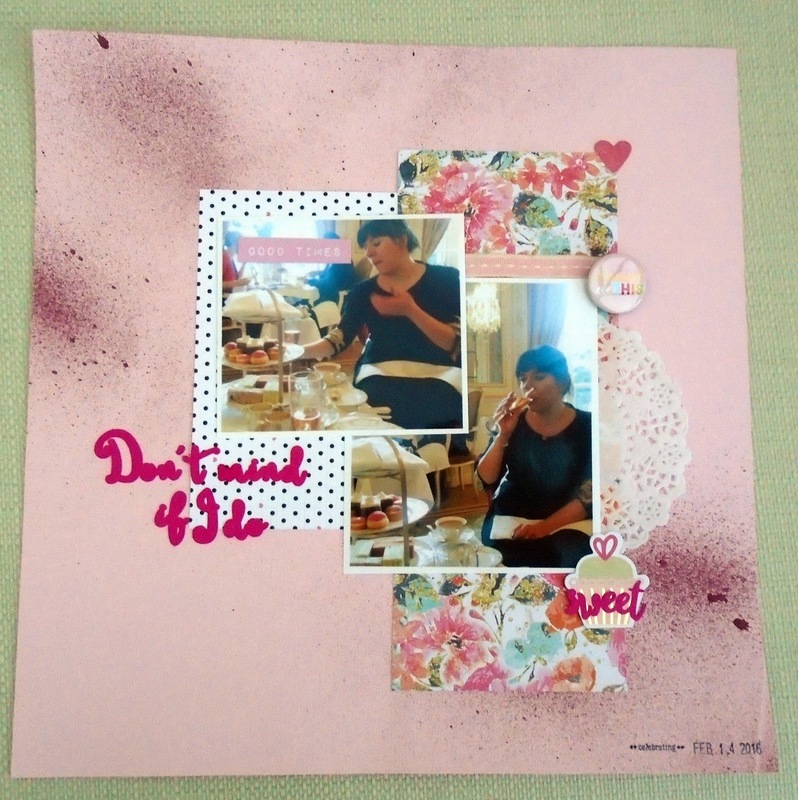 I also used several sheets from a magazine freebie 6x6 pad by Bo Bunny, therefore helping to reduce my paper mountain. 'Going Round in Circles' is our new challenge at Make My Monday . 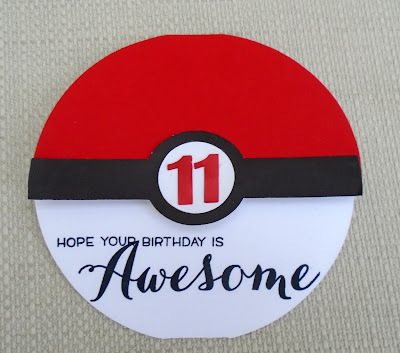 I made this card for my grandson's 11th birthday, using a free cutting file kindly given free here. Some of you may be wondering what it is! 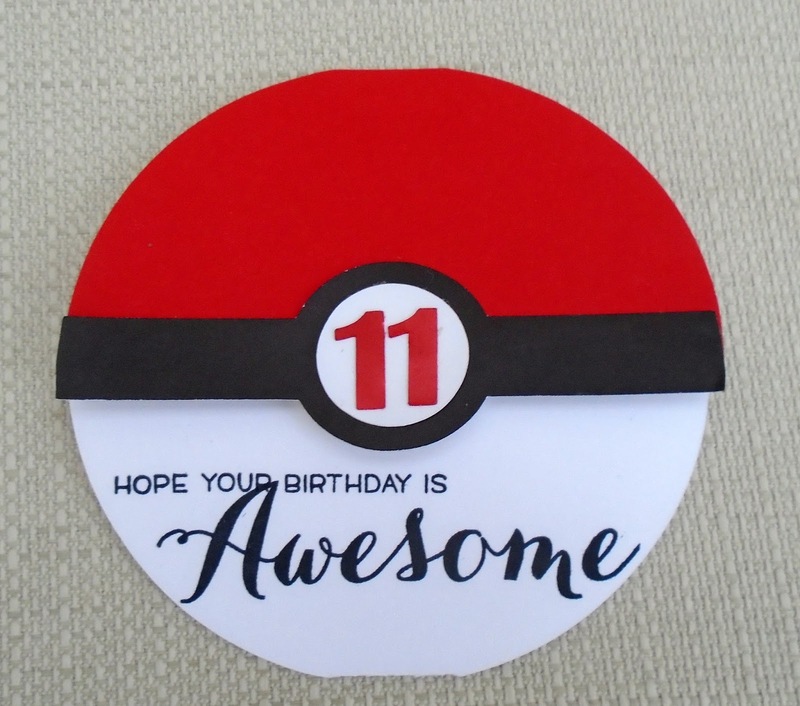 It's a pokeball from Pokemon ( hope that helps!). 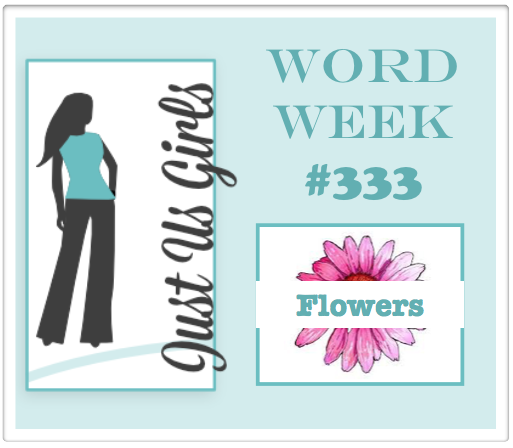 I die cut the numbers and stamped the sentiment - the 'awesome' is Waffle Flower but I can't remember where the small part is from. 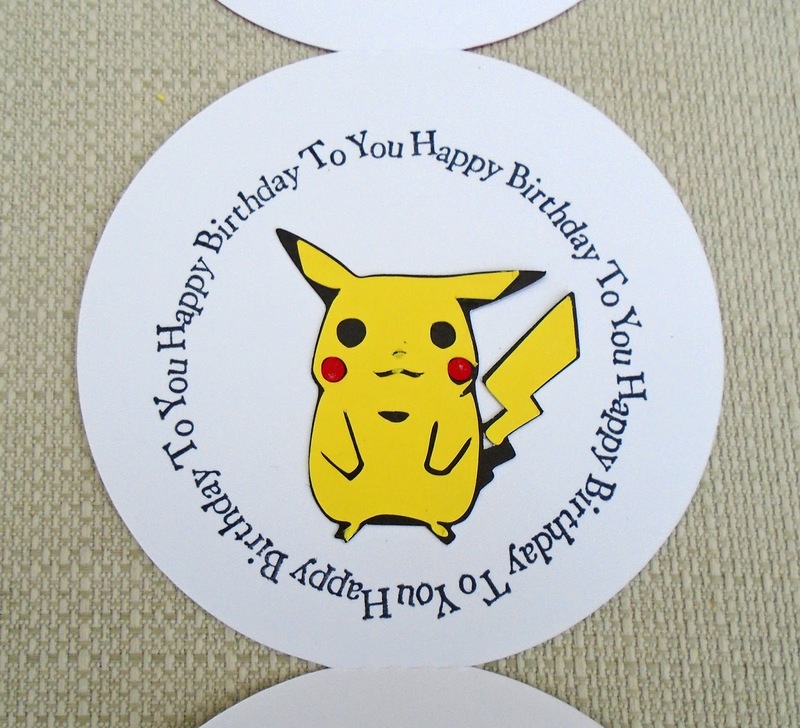 Inside, I die-cut a character, Pikachu, from another free source (sorry I can't remember where!) and stamped the circular sentiment (MSE). My grandson was delighted with this card- although he did comment that there are some little white dots missing from Pikachu's eyes! 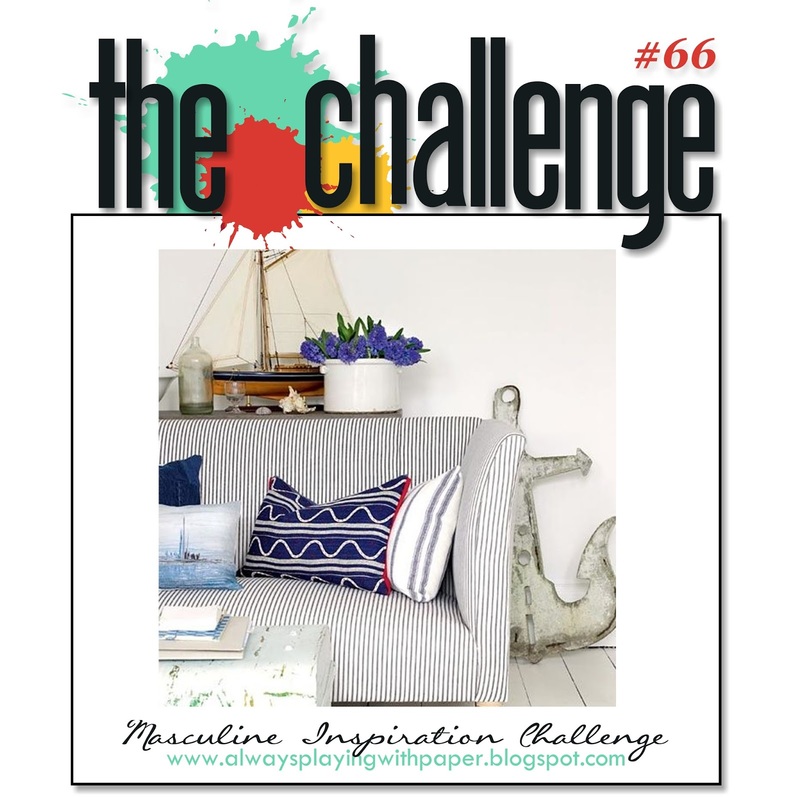 I hope to see you entering our challenge at Make My Monday. 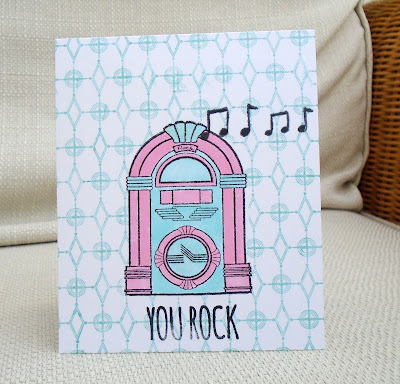 Cardz4Guyz teenage kicks - okay I know 11 isn't strictly teenage - but I think this is the step up from a little kiddy's card. 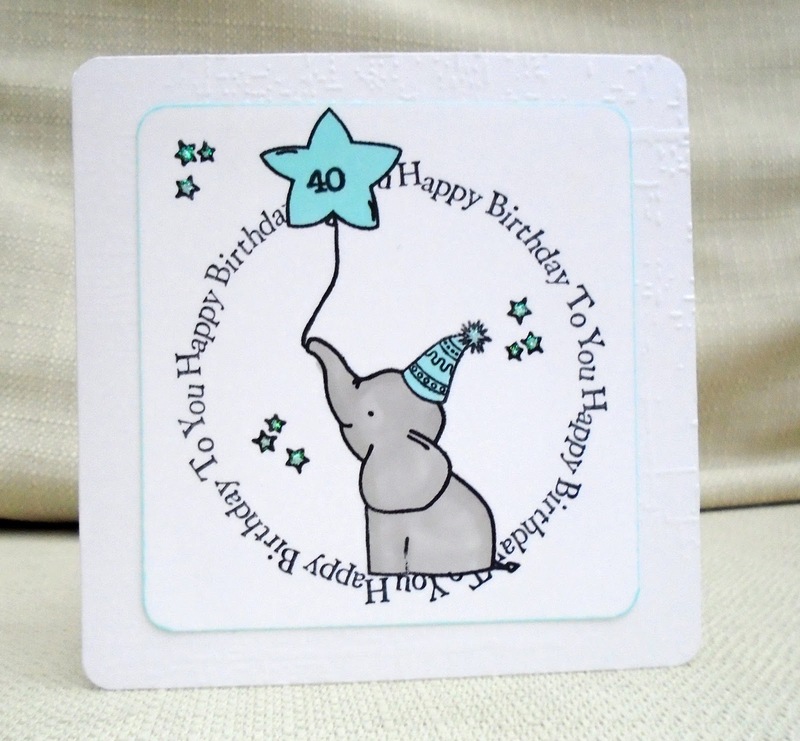 For my DT card, I stamped a Unity stamp and then scanned the image into my computer. In Silhouette Studio I enlarged it, altered the lines with a sketch effect and added the first part of the sentiment. I printed it, cropped it and coloured it and added die cut letters. 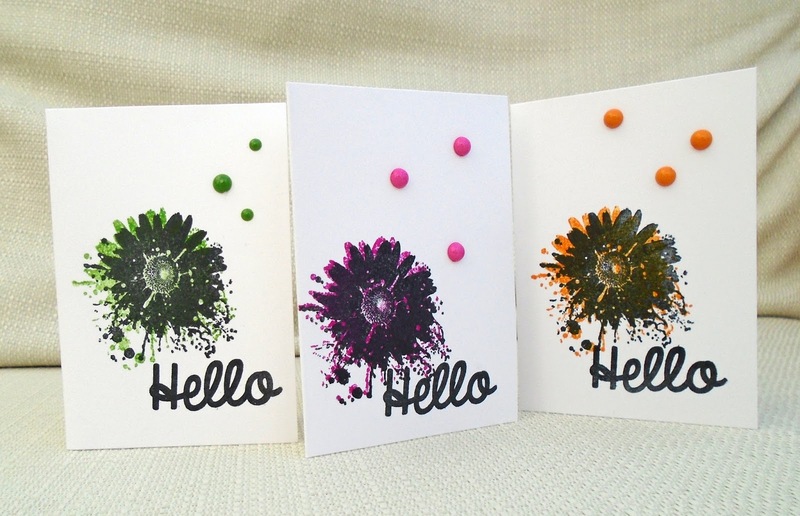 Please come and see us at Inkspirational - we have a wonderful Guest Designer Rae Ann, not to mention our fabulous DT - and join in our challenge. 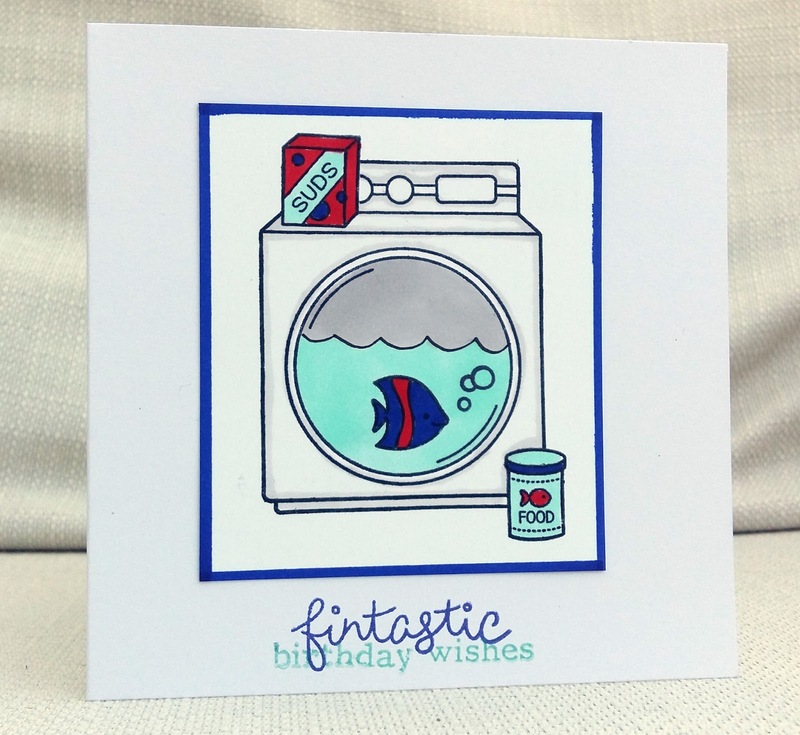 Deep Ocean fave colour combo - actually I love any colour teamed with grey. Our challenge this week at City Crafter is to add clouds to your project. 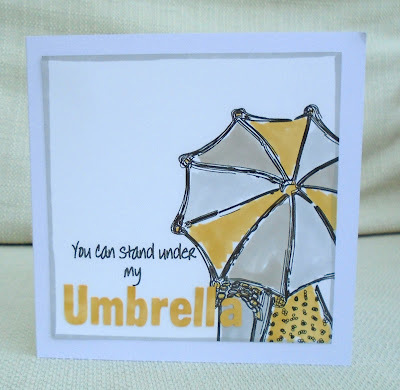 I used a Mo's Digital Pencil image and, using Silhouette studio, created sketched clouds and the sentiment. I coloured it using alcohol markers and distress ink. 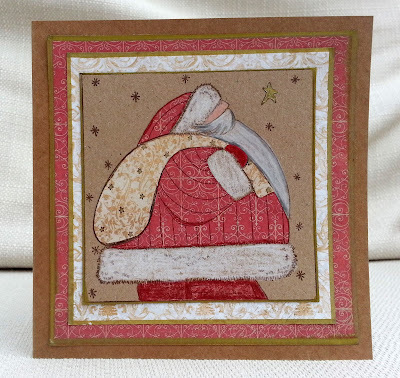 This isn't really a card - there's no back on it, as I don't intend to give it away. I will put it on my pinboard to remind me to 'go for it'. 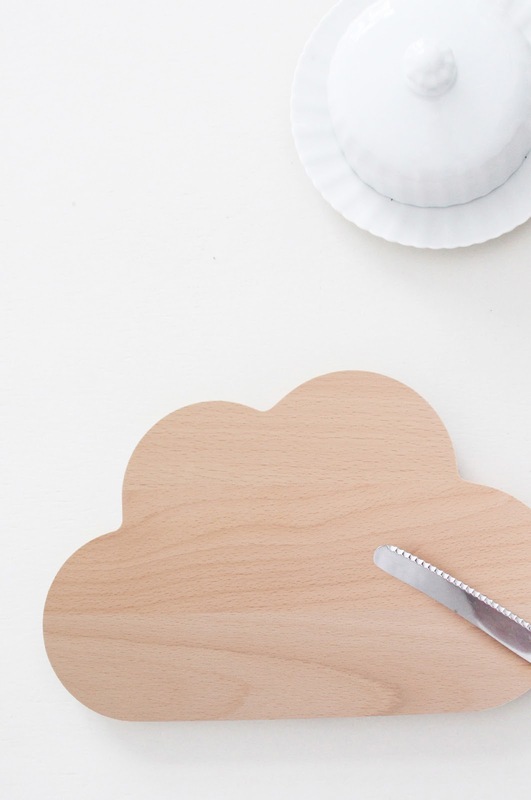 I hope you'll come over to City Crafter, see the work of our Guest Designer Marie , and the rest of the DT, and enter your own cloudy project. 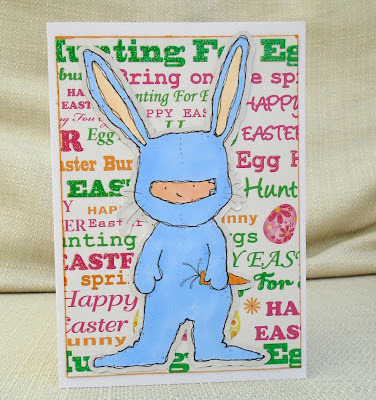 What's fluffier than a cute kiddie dressed up as an Easter bunny? 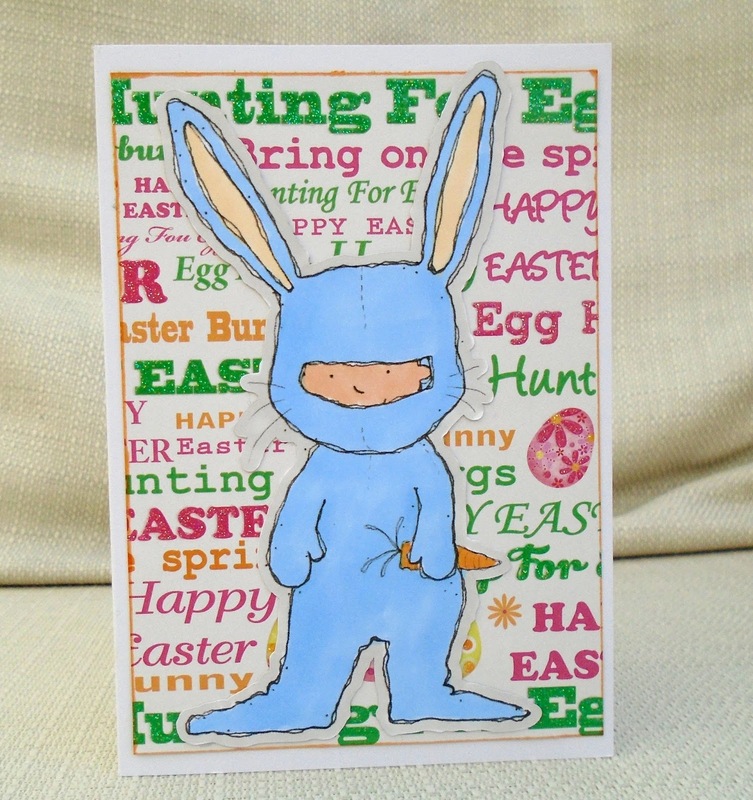 This image, by Jellypark, was coloured with alcohol markers. Please come over to Make My Monday, see what the rest of the Design Team have made and enter you own project featuring something fluffy. 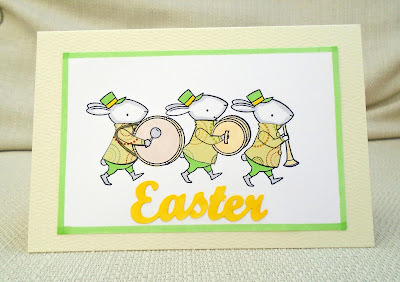 I got this new set , Strike up the Band by My Favorite Things and decided to make them into an Easter parade. 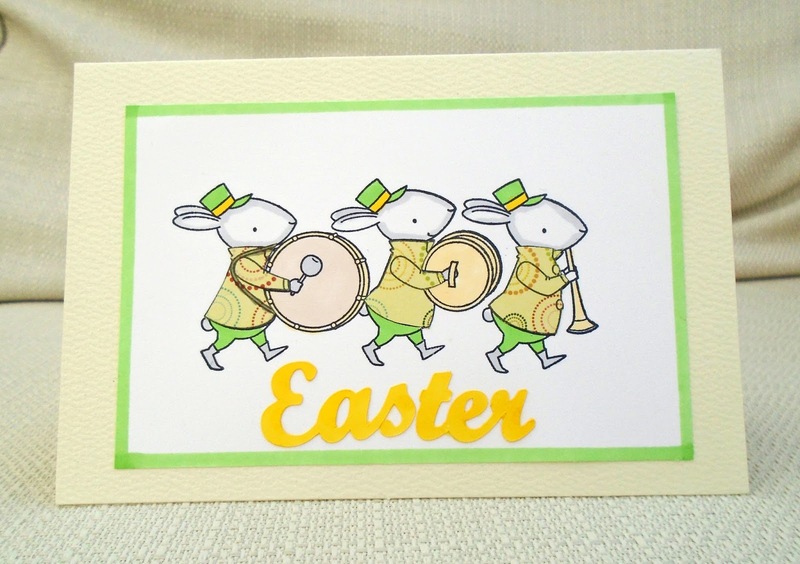 I coloured the bunnies with alcohol markers and paper-pieced their jackets, and die-cut the word Easter. I decided to keep it unembellished in the hope that the daffodil-inspired colour scheme would make it Easter-y enough. 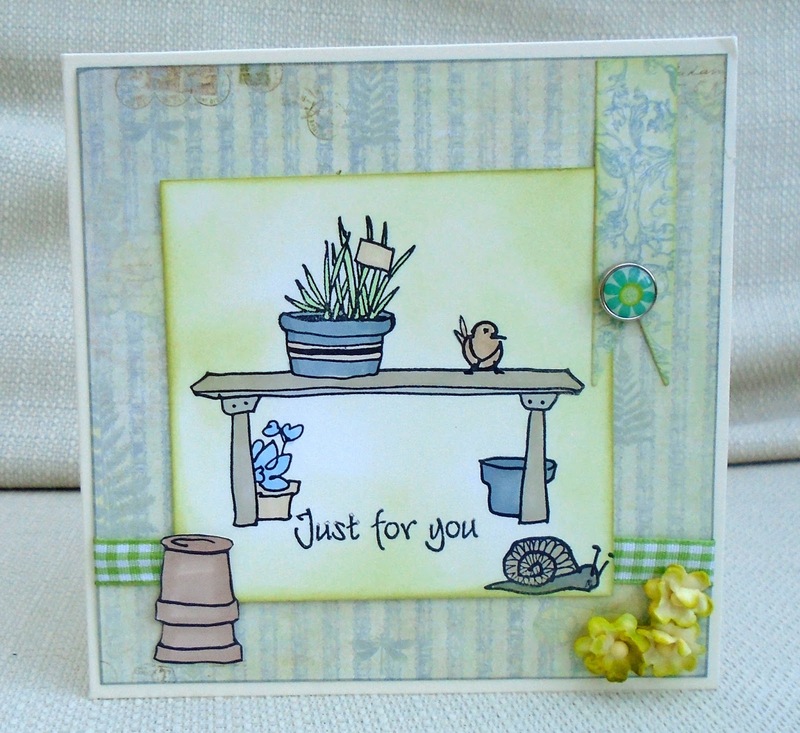 Here are a couple of layouts I made at my lovely local crop (Scrapbags) yesterday. 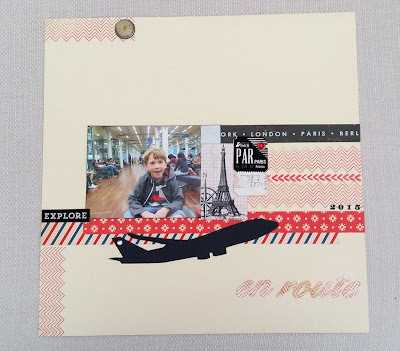 For the first, En Route, I used lots of stamped chevrons (Lawn Fawn) as I want to enter the challenge at Scrapbook Challenges. Apart from stamping the date I didn't do any journalling as I think it is obvious were we going! 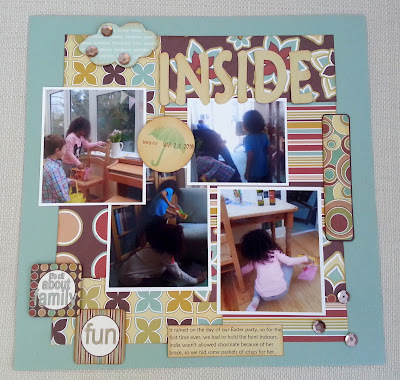 The second layout was made with the crop kit, so is my twist on a layout by June, our crop leader, which in itself was (according to her) a scraplift. I used some (scanned) photobooth photos of my brother and his friends in around 1980. These kind of photos were the throwaway selfies of the day - I'm just glad that these ones survived. 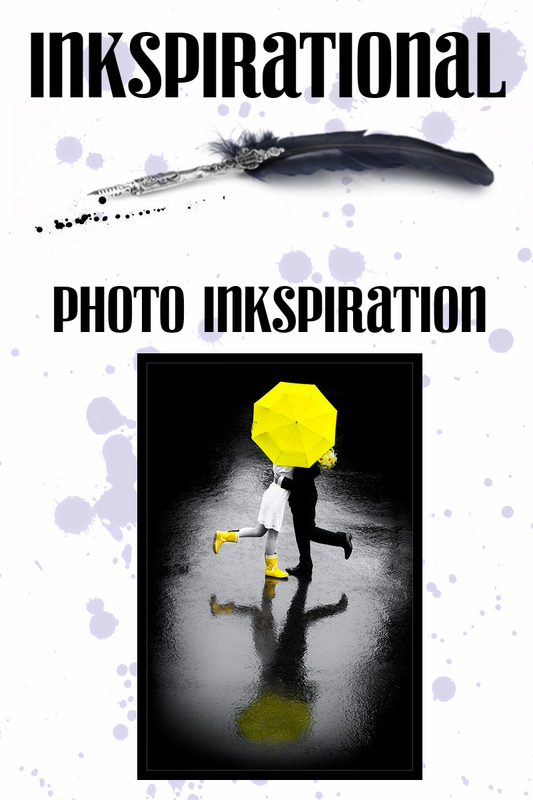 It's time to say Happy Birthday to my dear Inkspirational teammie Kim. Kim, I hope this has made it all the way to Canada. 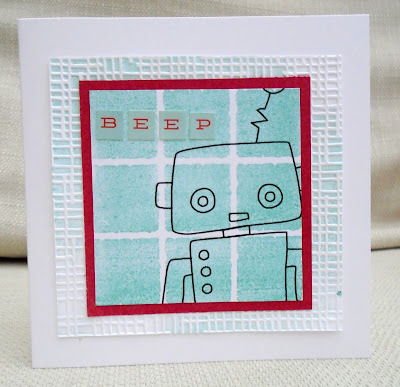 It's a one-layer card , using a jukebox stamp ( a magazine freebie) , with a Hero Arts background. 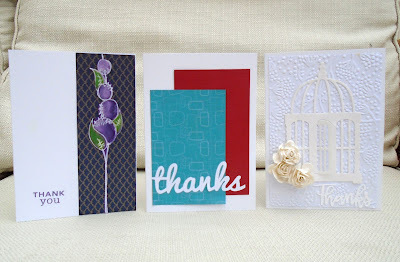 The sentiment is by Neat and Tangled and I also stamped the musical notes. 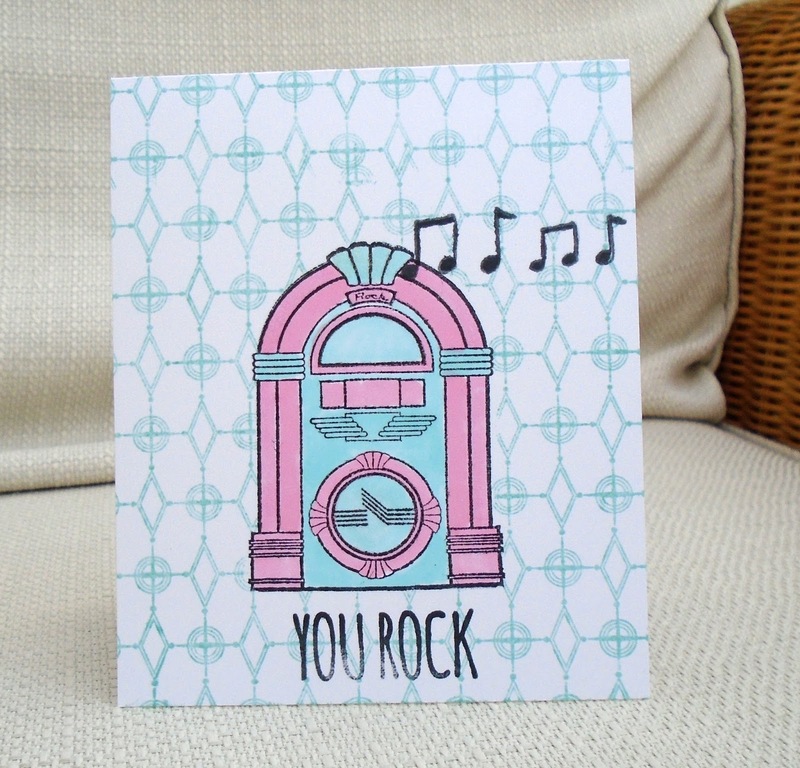 I've coloured the jukebox in girly pastel colours (I was thinking Grease/Pink Ladies!) and then highlighted with several layers of Wink of Stella - but even I couldn't see the WoS in normal light. Kim, I hope you'll wiggle it under artifical light this evening to see I bothered with the glitter! Kim , I hope you have a wonderful day. Our new challenge at City Crafter is 'Make it Green'. 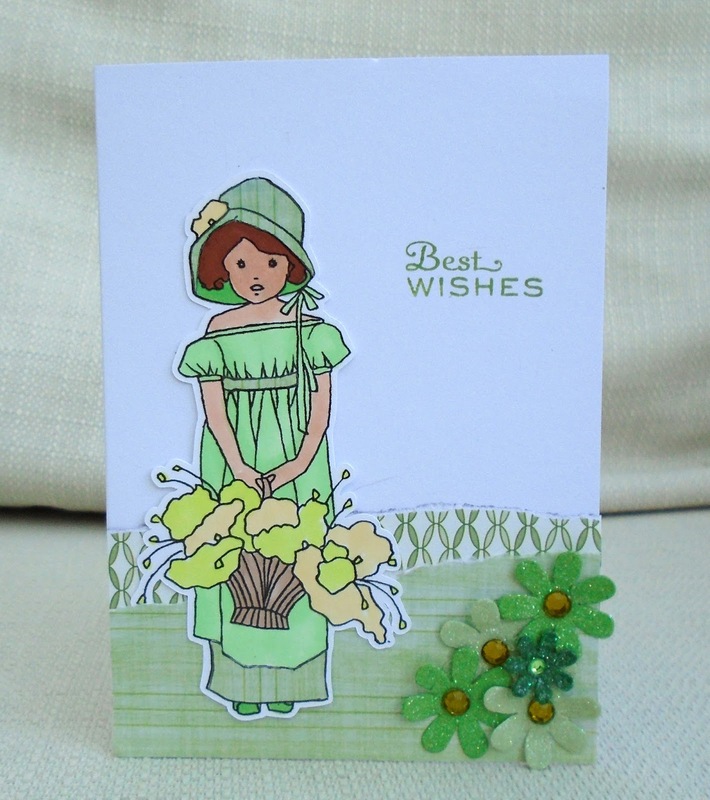 For my DT project I used a digi-stamp from A Day For Daisies which I coloured with markers and paper-piecing. We have Veerle as our Guest Designer , so I hope you'll come and see what she's made, see the projects from the DT , and enter your own green project. Our new challenge at Make My Monday is Lucky. For my DT card I watercoloured a background using Twinkling H2Os ( so it has a shimmer in real life) . I cut 'lucky' and the star on the Silhouette and made 'you're my' with a Dymo gadget. 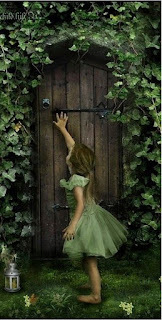 I hope you'll come over to Make My Monday ans see what the rest of the DT has made, and enter your own project. So I shouldn't have been surprised when the card blanks I ordered, thinking they were a standard size (around 6x4) turned out to be minis of around 4x3. I hope I've turned this mistake into a positive by making some cards for little notes or possibly to go in with a gift. 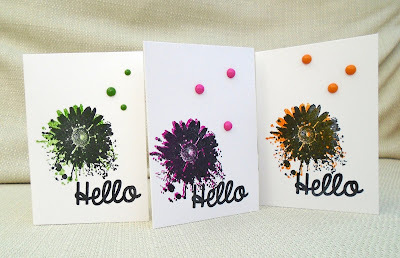 I used this month's freebie from Craft Stamper and a 'hello' stamp by Waffle Flower. 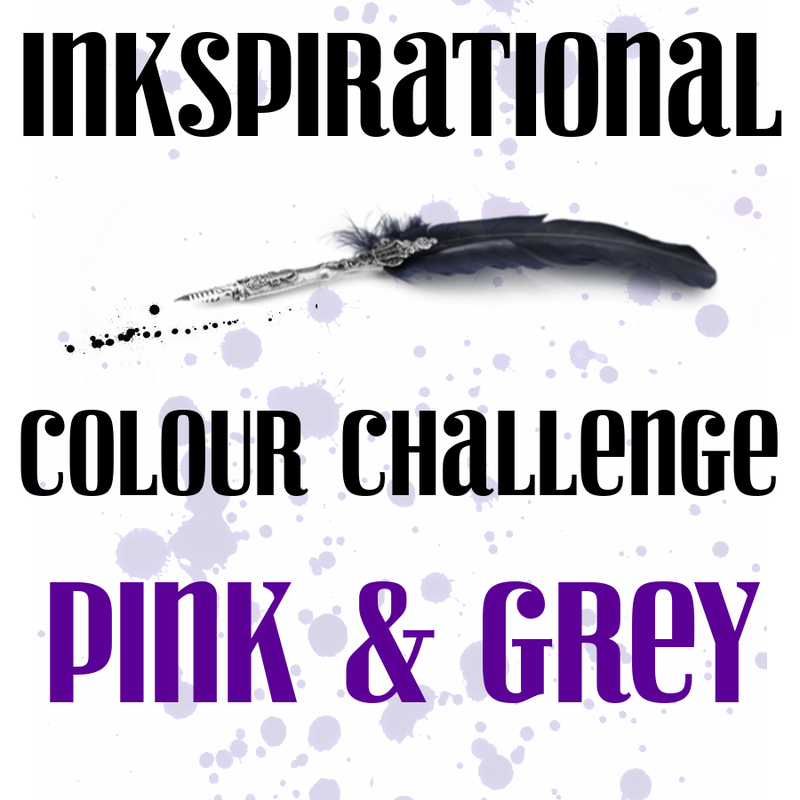 Our new challenge at Inkspirational is 'pink and grey'. 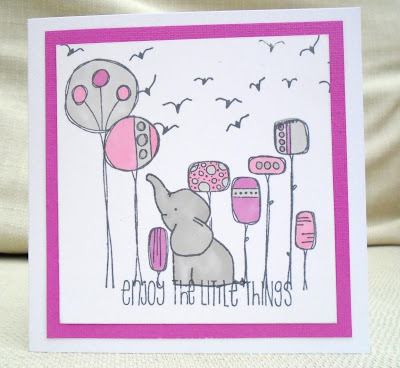 For my DT card , I used an Avery Elle elephant, combined with stamps from three different sets by Paper Artsy (two of which I reviewed here ) . 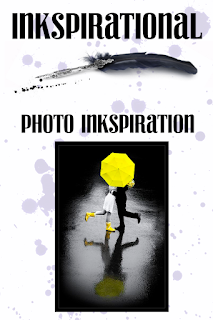 We have a wonderful Guest Designer, Susan, so I hope you'll come over to Inkspirational, see what she and the DT have made, and enter your own project. I couldn't resist these round Easter animals from Sami Stamps - they remind me of 'angry birds' except not angry! 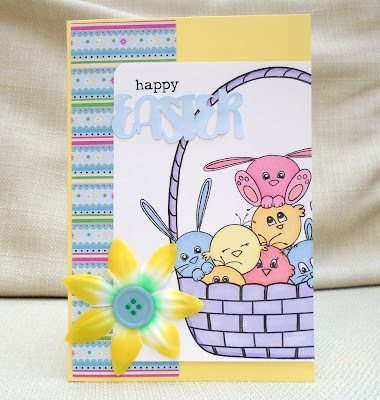 For the sentiment I used a Clearly Besotted stamp and used the Silhouette free design to cut 'Easter'. My daughter's got a promotion at work! 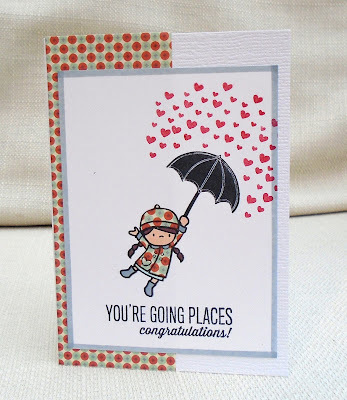 For her card I used umbrella and heart stamps from Hero Arts , and the girl and sentiment stamps from Mama Elephant. This week at City Crafter , Kirsty wants us to complete our unfinished projects. 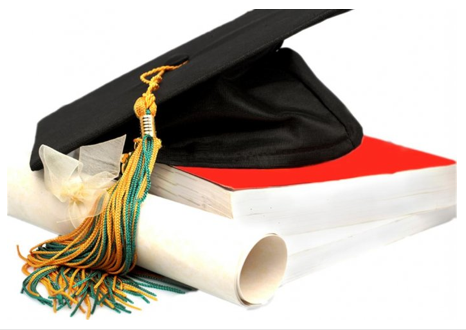 PHD = Project Half Done! So I decided to make a trio of 'thank you' cards using stuff from my bits bags. For this card, I used a Paper Artsy flower that I'd white embossed, coloured with Distress ink (using a watercolour lifting technique) .... and left! Here, I paired it with a scrap of patterned paper and a Hero Arts sentiment. 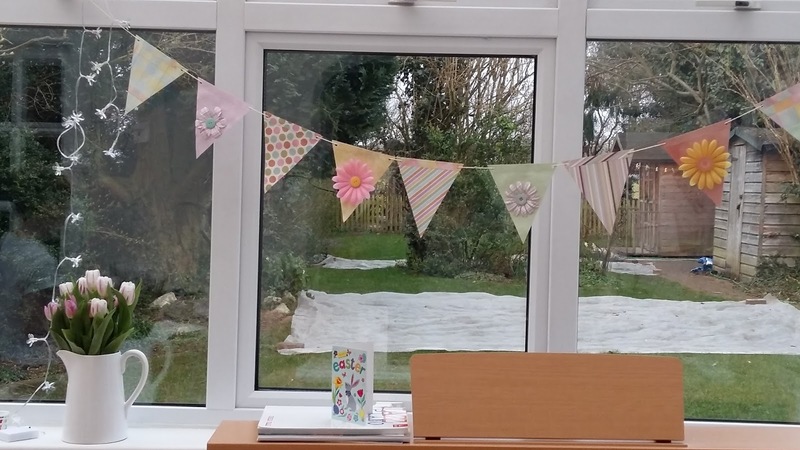 Our Guest Designer this week is Evy, so I hope you'll come and see what she and the DT have made, and enter your own completed project. 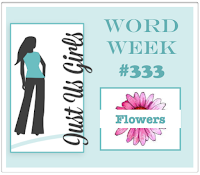 Our new challenge at Make My Monday is 'A Square World ' - only squares allowed. For my DT card I printed a large image of a robot. (It's from an old CD called Papercraft Factory. Then I stamped a Hero Arts squares stamp off-centre over the image and trimmed it. The letters are stickers and I dry embossed the back layer with ink. Please visit us at MMM and see what the DT have made, and enter your own creation. Spring....it's cold here ( near London) but sunny and at least we don't have snow as in many parts of the country. 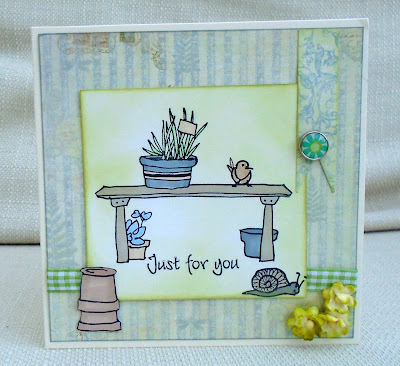 Here I used a set from Altenew, coloured with Promarkers and then Distress ink. The sentiment is a stray (!) 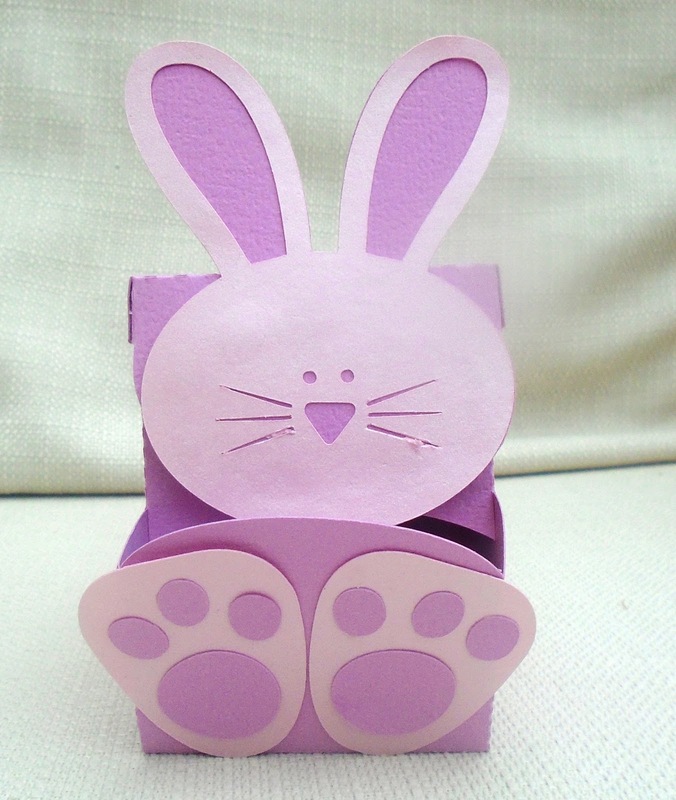 and I used a Bo Bunny brad and paper from my paper mountain. Time Out spring and I used the masking twist to put the pot on the table. Enough of those CAS cards! They won't reduce my paper mountain! 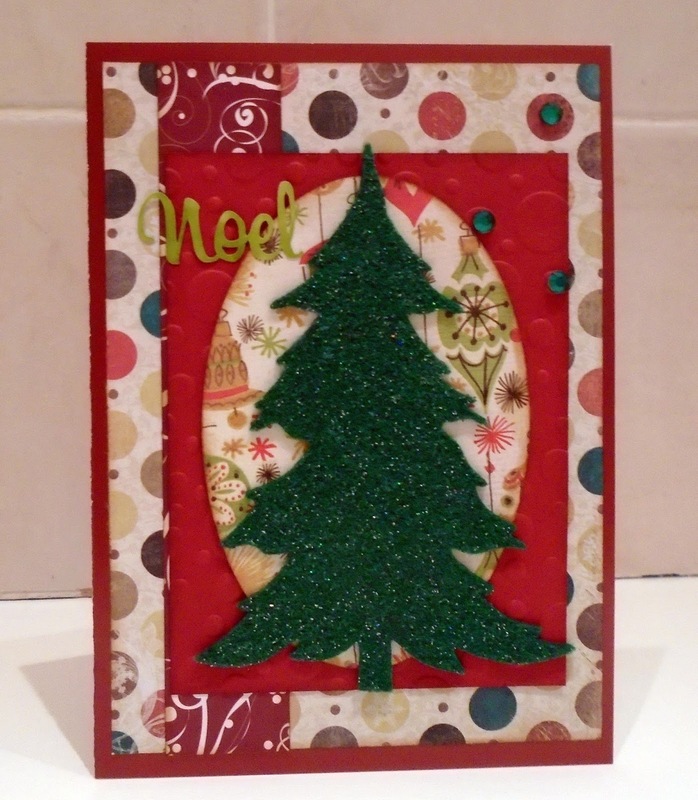 Here I cut a Sizzix Christmas tree die out of glitter felt and layered it with lots of patterned paper. 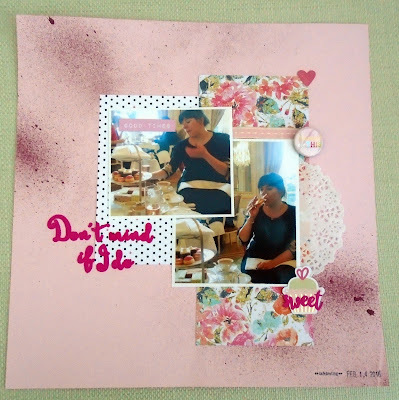 Entering this into the Sweet challenge at Scrapbooking Top 50. I chose this week's challenge at City Crafter. 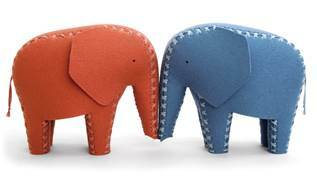 I've noticed a lot of elephant images around lately, so I hope to see some used. For my DT project I used a set by Avery Elle, teamed with number stamps, a 'My Sentiments Exactly' circular text stamp and a party hat from Papermania. I added some stickers to the stars and pompom. 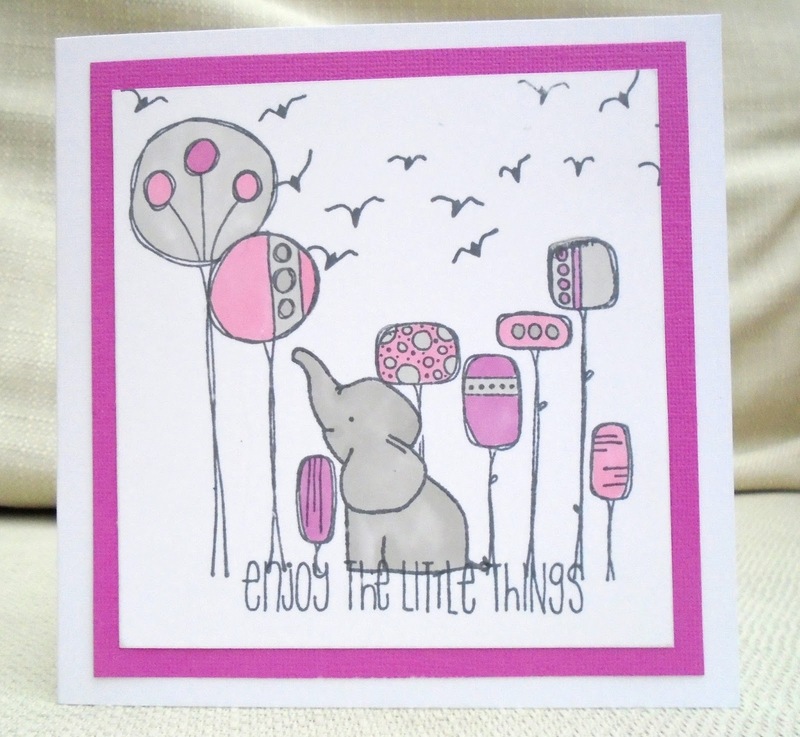 Please come over to City Crafter, see what the DT and our Guest Designer , Sarah, have made, and link up your own elephant project.